Can You Overdose on L-Lysine? Also called lysine or lysine hydrochloride, L-lysine is an amino acid that your body needs and you can get from eating certain foods. You can also get L-lysine from taking a supplement. If you take too much L-lysine in supplement form and consume large quantities of L-lysine-rich foods, you may experience dangerous side effects. Consult your doctor before taking L-lysine supplements to discuss the health risks and safe dosage. You can get L-lysine from food sources such as beans and legumes, brewer's yeast, fish and meat and dairy products. 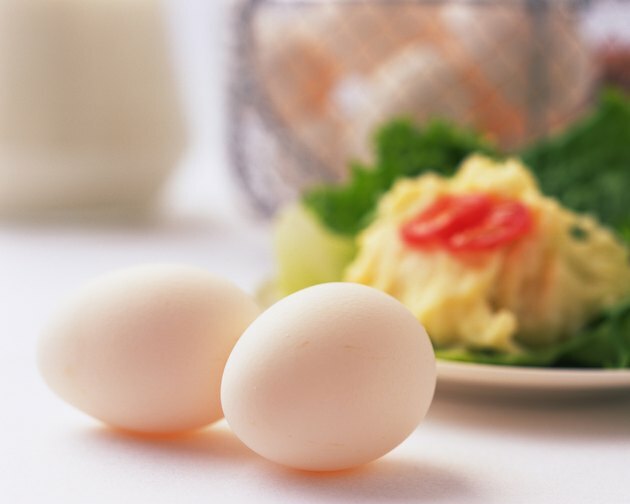 Animal proteins like meat, poultry and eggs contain the highest amounts of L-lysine. Your body can't make L-lysine, but the amino acid is essential to healthy growth, calcium absorption and collagen formation, as well as the formation of your bones, skin, cartilage and tendons. You might take L-lysine supplements to help prevent bone loss due to osteoporosis and herpes outbreaks. Lysine could reduce the frequency or severity of cold sores and genital herpes outbreaks, although research results are mixed. L-lysine may also help treat shingles. Additionally, vegans who don't consume adequate amounts of beans, athletes and burn patients may require more L-lysine and can benefit from taking a supplement. Don't take an L-lysine supplement without first talking with your doctor. Taking too much L-lysine could increase your cholesterol levels and cause gallstones. If you have high cholesterol, gallstones or kidney or liver disease, you shouldn't take L-lysine unless your physician says doing so is safe. High L-lysine intake can also cause diarrhea and stomach cramps. The typical recommended intake of L-lysine is 1 gram per day, but a therapeutic dosage is usually 3 grams daily taken in three separate doses. To reduce herpes symptoms, you could take up to 9 grams per day of L-lysine. Any dosage above these recommendations could cause overdose-like side effects. Taking L-lysine supplements can interact negatively with other supplements. Specifically, arginine supplements can counteract the beneficial effects of L-lysine. L-lysine could interfere with certain other medications and supplements, so talk to your doctor about these potential drug interactions before taking the amino acid. Also consult a health care professional before giving L-lysine supplements to a child or taking L-lysine while pregnant or breast-feeding.